Whole plant foods are incredibly nutritious. Fruits, vegetables, nuts, seeds, legumes, and whole grains each pack their own unique blend of essential vitamins, minerals, fatty acids, and proteins. 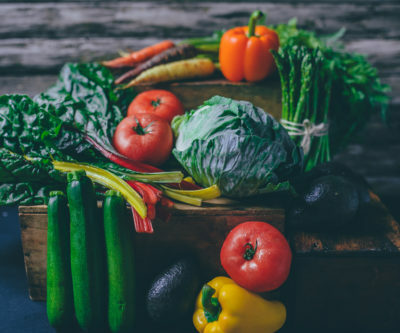 But in order to truly unlock the health benefits of a plant-based diet, you have to ensure your diet includes a diverse variety of these foods. One of the biggest mistakes people make when starting a plant-based diet is falling into a routine of eating the same types of foods meal after meal. Pasta, bags of almonds, and fruit are examples of convenient plant foods that many people just about live on. While these foods are undoubtedly healthy, they can’t single-handedly provide us with proper nutrition. Relying solely on these foods can lead to nutrient deficiencies in both the short and long term. Let’s say you’re looking to adopt a healthy new plant-based diet and you happen to love pistachios and watermelon. You begin swapping your usual morning eggs for watermelon, and your regular afternoon potato chips are replaced with a bag of pistachios. Chances are, you’ll feel an immediate increase in energy, and the fibrous content of each food will curb any hunger cravings you have for unhealthy snacks. At this point, you’ll begin feeling comfortable in your new routine, and you’ll be reluctant to change what’s clearly working. While an eating pattern like this may work well in the short term, it can be detrimental if it means you’re not eating other healthy plant-based foods. Watermelon, while high in Vitamin C and Vitamin A, is not a rich source of the amino acids we need for everything from muscle repair to central nervous system function. And pistachios — a great source of some B vitamins, phosphorous, copper, and manganese — are still low in nutrients like Vitamin A, calcium, and zinc. Eat plant real foods. Eat enough of them. Eat a variety of them. The recipes in Nature Has Flavor: Cooking Your Way to a Healthier Life call for a diverse variety of plant-based ingredients from around the world. Chef Liron Meller had spent 20 years in the food industry before adopting a plant-based diet, and his recipes reflect that background. By learning how to cook using only plant-based ingredients, you can ensure you’re always excited about what’s on your plate. And your body will thank you for the high-quality nutrition.